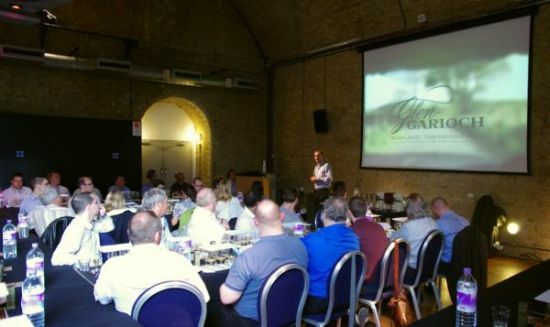 We had a great tasting of the full delights of Glen Garioch at TWE Vinopolis the other week. 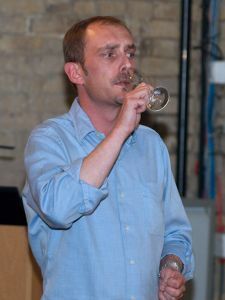 Iain McCallum, Morrison Bowmore’s Malt Master, regaled us with tales of traumatic hangover breakfasts, an unfortunate incident with a boiler, and how he once took great pleasure in ruining a snooty French rival’s chances of pulling in a famous London whisky bar. Meanwhile, the packed-out audience in Vinopolis’s Vineyard were treated to a dazzling selection of the current Glen Garioch range, which is, as it turns out, one of the most stylistically diverse and technically excellent offerings from anywhere in the Highlands at present. 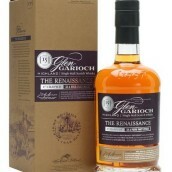 On this evidence, Glen Garioch is a distillery in the form of its life. A few facts about the distillery, first of all. 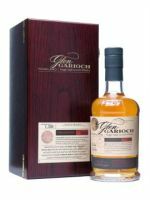 Glen Garioch has several distinguishing features: for starters, since the demise and demolition of both Glenugie and Glenury Royal, Glen Garioch holds the distinction of being Scotland’s most Easterly distillery. It’s also one of Scotland’s oldest distilleries, with an official founding date of 1797 (though there are strong claims that distillation was taking place on the site decades earlier); and is one of Scotland’s handful of surviving urban distilleries, being ensconced in the middle of the town of Oldmeldrum, northwest of Aberdeen. This is one of the reasons that the distillery has remained rather small, with their capacity listed at 1 million litres per year but actual output currently some way below that (according to the Malt Whisky Yearbook), and Iain confirmed that the distillery released just 5000 cases of single malt last year. 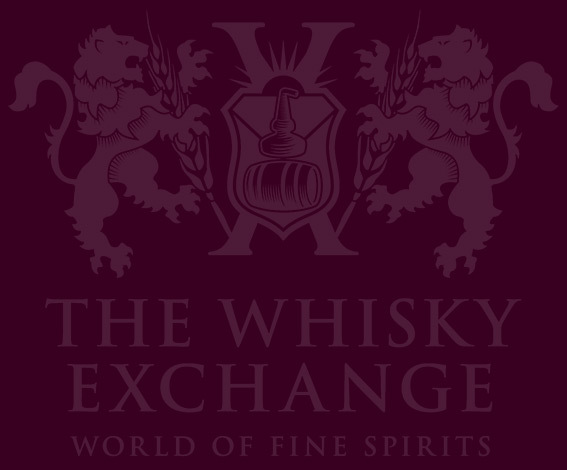 Historically, although the single malts from the distillery have long been held in high esteem by single malt fans, they’ve also been in demand by the blenders, with famous brands that Glen Garioch has contributed to including White Horse, Dewar’s and Vat 69. While production and distribution of the distillery’s single malt is expected to grow in the next few years, increasing the capacity of Glen Garioch in the long term could be problematic due to its relatively remote location and urban setting – an intractable issue best illustrated by the fact that the distillery had to remove one of its stills to accomodate the construction of a visitor centre in 2005, and now possesses only three stills, only two of which are in use. 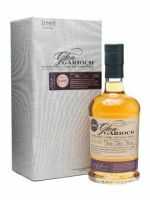 In 1972 Glen Garioch became the first distillery in Scotland to use gas to fire their stills, and the first official bottling of its single malt came in the same year. The distillery has its own malt barns and malting floors but these have been out of use since 1995, when new owners Suntory shut the distillery down for 18 months. 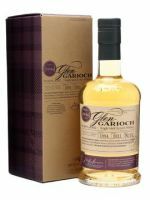 At the time the malt floors were decommissioned Glen Garioch’s spirit was peated to around 8-10ppm (although peating levels varied throughout the 1970s and 1980s), but when it reopened in 1997 the decision was made to switch to unpeated malt. 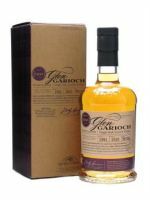 This is the reason that older Glen Gariochs have a noticeable thread of smoke that the younger expressions lack, a fact that was amply demonstrated as we went through the range. Ok, enough about the distillery itself – a few words about our host. Iain is one of the brightest rising stars in the Scotch whisky firmament, with a stratospheric career at Morrison Bowmore. He was Auchentoshan’s youngest-ever distillery manager at the age of 33, before being promoted to Senior Blender for the group. Nowadays, as Malt Master for the company he has served since joining as a lab technician at the tender age of 16, Iain travels the world extolling the virtues of Morrison Bowmore’s marvellous whiskies. So, let’s crack on then! 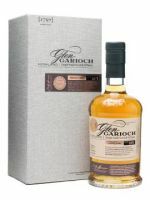 We were very lucky to taste the entire range of Glen Garioch’s current offering, resplendent in their retro-style bottles and elegant low-key design, the result of a 2009 upgrade when the company finally ditched their naff stag’n’heather packaging and took the brave decision to bottle their standard bottlings at 48% or cask strength without colour or chill-filtration. We tasted each of these with a different cheese, which worked well for some of them and not so well for others. Nose: Quite nutty, lots of fresh bourbon character, cooked apple, clove, apricot and some cocoa notes. 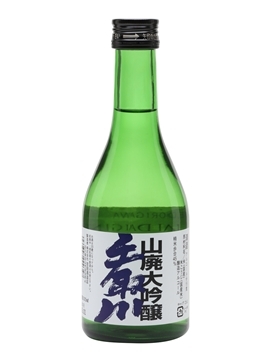 Palate: Follows on well from the nose, with the addition of spicy dried coconut and dried summer fruit. Comment: A very decent entry-level dram. 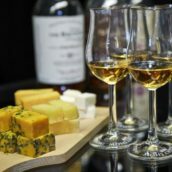 We tried this with Gruyere, which I personally found unconvincing – I felt the whisky was too big for the cheese, overpowering the flavour and leaving a chalky mouthfeel. Nose: Again, very clean, sweet bourbon character initially. Then some honey and brown sugar, with a pleasant grapiness suggesting a sherry influence and some leafy notes. Palate: Mostly sweet and honeyed with some good citrus balancing out. Really moreish. Very nice with a drop of water, which reveals a pleasant heathery, tweedy character. 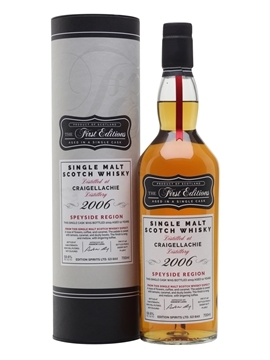 Comment: It’s not hard to see why this won its category at the World Whisky Awards. Textbook stuff, really very difficult to find any fault here. Not too sweet, with good depth, nice texture and very good balance. We had this with Parmesan, it was fine but I wasn’t blown away – I just didn’t feel the whisky needed it or particularly benefited by it. 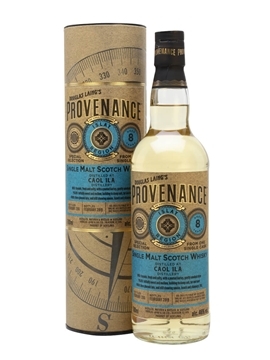 This contains some of the last peated malt produced on the distillery’s own malt floors. Nose: Amazing honeycomb, with some fennel and other dry herbs. Palate: Pure set honey, with some faint smoke and ash. Gets quite spicy. Finish: Long, warm and spicy. Again, very good with a drop of water. Comment: I enjoyed this one a lot as well, especially with water. We had Coolea cheese with this, which I again felt did nothing for the whisky and seemed to go rather chalky in the mouth. Nose: Big and assertive with a strong spiciness. Wet wood, some bandages and liniment. Finish: Very warming and spicy. Comment: Iain claimed that this would become one of the most collectable drams in the world in years to come. I’m not sure if that will happen or not, but there’s no doubt it’s a terrific whisky – I really enjoyed it. We had this with a very nice tangy blue goat’s cheese whose name I didn’t write down. I really like blue cheese and smoky whisky as a combo, but I confess I’ve never really been fully convinced by other cheese and whisky matches, which pains me as a lover of both. Maybe something I need to look into myself in the future. Nose: Iain mentioned apple for this – yes, cooked green apples. Also flapjacks and some apricot, along with a slight smokiness, Develops a menthol note with hints of toffee apple. Palate: A slight soapiness, some soot & coal. Then a honeyed sweetness, with heather and ginger. Comment: Again, very, very good. I’d given up on the cheeses by this point, though. 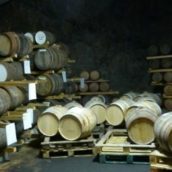 Iain mentioned here that he thinks 40% of a whisky’s flavour comes from the cask (as opposed to the 60% you hear mentioned elsewhere). I suppose it depends on the cask. He also said each cask should contain no more than two litres of its previous content, otherwise it hasn’t been washed properly. Nose: Follows in the same vein of earlier malts in many ways, especially with the notes of apple – but more emphasis on tweed & heather and a little less phenolic character. Palate: Really strong honey again, with faint medicine cabinet notes. Finish: Pepper, honey and lots of cinnamon & clove. Comment: This was another one that really blossomed with water – really beautiful and again, a great balance. Tremendous stuff. Nose: Gentle and delicate, but very complex, with wet wool, bandages, liniment and faint smoke. Develops some orangey notes, like Cointreau or tangerine skin, some grapefruit and delicate hints of incense, like a joss stick in another room. A thread of coalsmoke or soot winds its way through what is an altogether captivating aroma. Becomes more oaky like old furniture – an old medicine cabinet, in fact. Palate: Fabulous clean oak, then a mouthwatering sweetness of tropical fruit (grapefruit, oranges, kiwi fruit and perhaps lychee). Then the bandagey aromas and wet wool. Develops a menthol note. Follows very closely to the nose, which is obviously a very good thing. Finish: Oak and fruit with a wisp of smoke. Not immensely long, but fades beautifully. Comment: At forty years of age, this legendary vintage can still come up with the goods. An truly elegant dram, balancing on a knife-edge to create a study of fruit, smoke and oak in the classic Highland tradition. Another excellent report and tasting. I wish I was there. 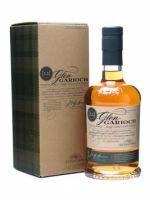 Glen Garioch is indeed a rather under estimated distillery and I can only hope that the TWE will release further Glen Garioch TWE bottlings from the early 1970s of the same quality of the 1971. 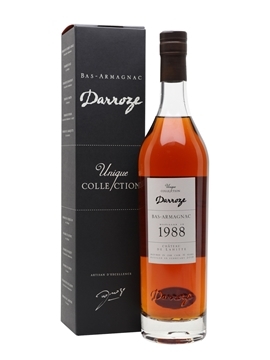 Could you please specify why Ian expect the 1991 to be a highly collectable whisky? It was a great night, really enjoyable – and thanks again for your kind words, Patrick. I think Iain’s claim for the 1991 was due to his great love for it as a whisky rather than any intrinsic collectability per se. 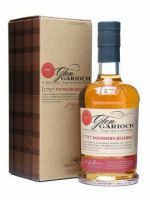 It was certainly very tasty, and of course it represents a diminishing style of Glen Garioch being made with peated malt from their now-decommissioned maltings.